Laura Lee decided to come home. Back to the streams, the land, and the farm that were the backdrop to her childhood. Her decision has provided opportunities to explore what home, farming, raising a family, and living on the land means in a world where the family farmer is caught between two extremes: endless expansion or nearly certain extinction. But the question that would-be farmers like Laura are asking is this -- are the values that built the bedrock for Wisconsin's farming heritage reflected in the 'go big or go home' narrative echoing through our rural communities? Laura, her husband John, and their three boys are the fifth and sixth generations to call these fields home. 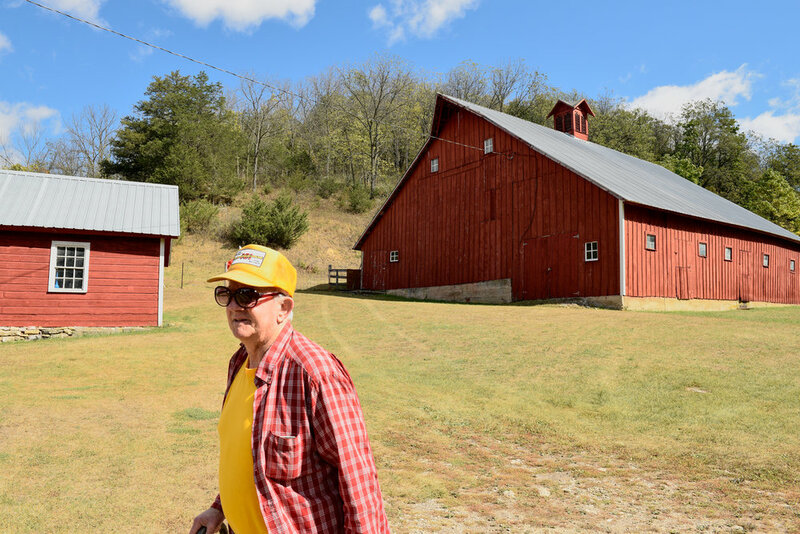 The farm is nestled into a hollow with a traditional red barn that was built by Laura's ancestors. 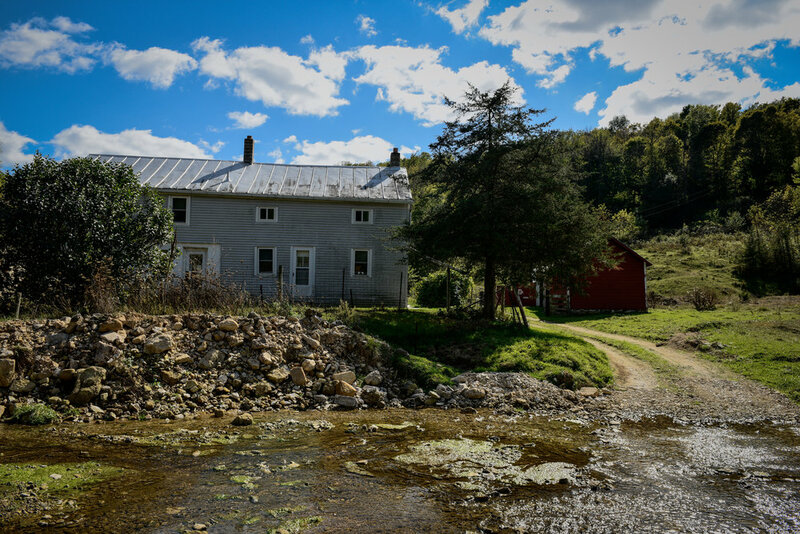 The care and commitment that goes into maintaining such a beautiful homestead is no small thing, especially considering that Laura's Uncle John is well into his seventies and he's the sole occupant of the original farmhouse. Albert and Bertha Dressler and their two children, Paul and Anna, came to the United States from Munich, Germany on October 28, 1882. Over the next fourteen years, they added seven more children to their family: Fred (Laura's great grandfather), Charles, Mattie, Sophia, Bertha, Albert, and Marnie. Albert purchased the land that would eventually become their farmstead in Harrison Township, Grant County in 1890. Fred married Mary Cummins and they had one son -- Donald (Laura's grandfather). Donald and Frances had three sons: Donald, Gerald (Laura's Dad), and John. 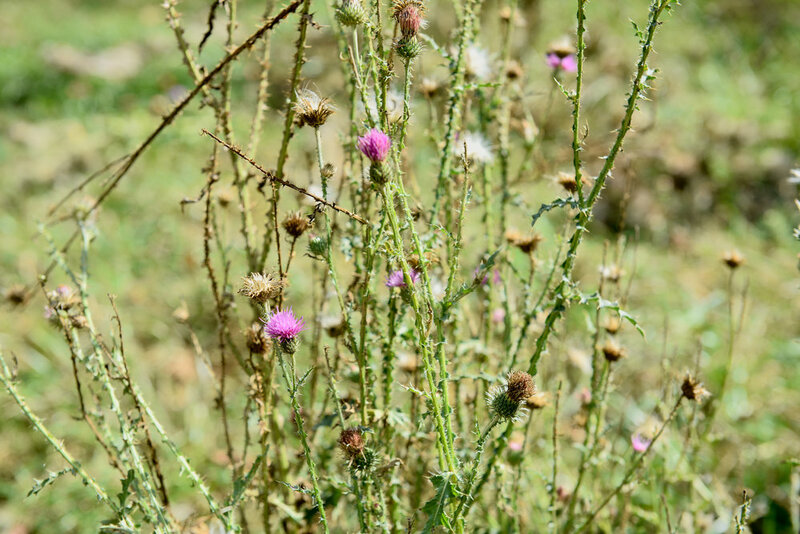 Her roots run deep on this land in Harrison Township and she intends to nourish those roots for her sons and their children. 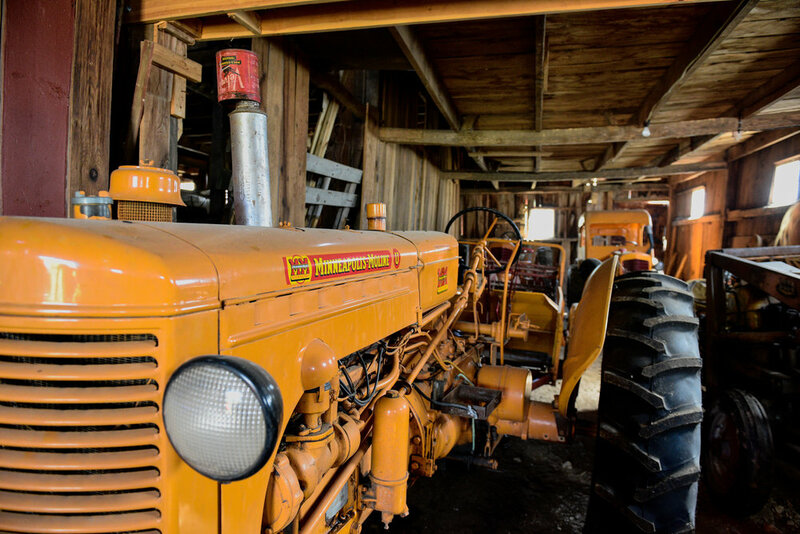 In addition to farming, Laura's great grandfather, Fred, and grandfather, Don, started Fred Dressler and Son Implement Dealer, a Minneapolis Moline tractor dealership in Platteville and had a horse breeding business. 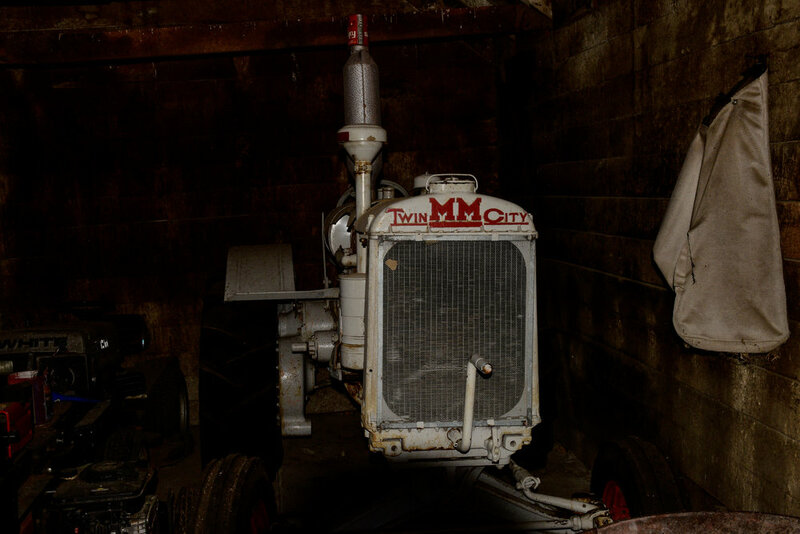 Fred and Don's legacy is tucked away into the outbuildings on the farm -- there are about 25 Minneapolis Moline tractors (down from about 40) and John was proud to share that they all are still operational....even his oldest MM tractor from the 1930's. John admits that life on the farm is different now and it's challenging to make the old ways work in the new farming economy but he has faith that Laura and John will make it work. When he was growing up, the barnyard was full of activity and animals -- chickens, pigs, and cows but it's quiet now that he's stopped farming and Laura is finding her way back onto the farm. Like the family members before her, Laura is figuring out how to farm, live, raise kids, and care for the land she's set to inherit. 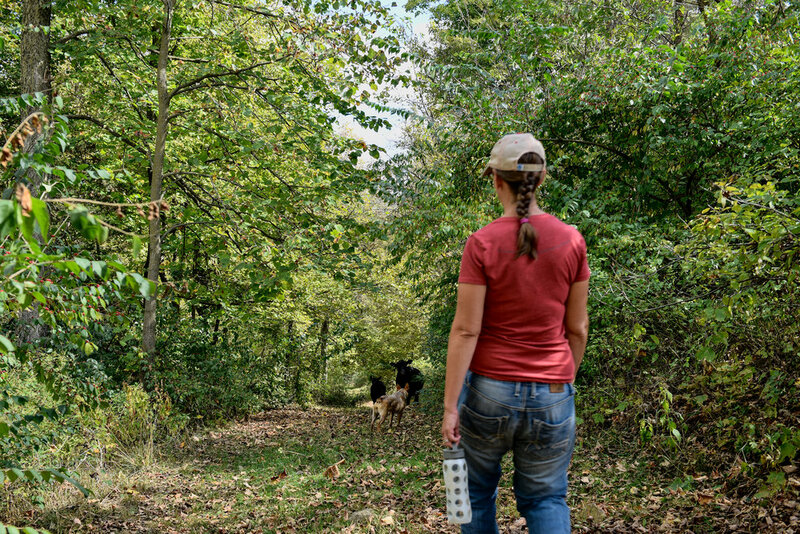 Each generation has had to contend with balancing where they've come from and where they are headed, while working in the inevitable changes in farming methods and the rural landscape to the equation -- and Laura is no different. 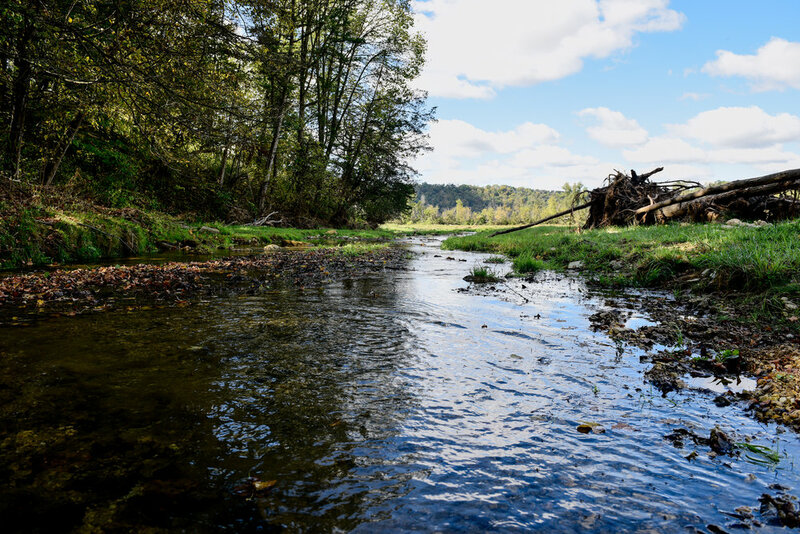 In the meantime, John is providing guidance and sharing lessons learned from the land, streams, crops, and animals that have called these fields home. Laura's planning to start with chickens and vegetables, maybe adding a few hogs and sheep down the road. Laura's Dad has collected black walnuts from the property for years and she'll continue that tradition as well. There is a lot to consider and crafting a plan that works for her family and the farm is going to take some serious thought and planning. But trust me, Laura is up to the challenge! 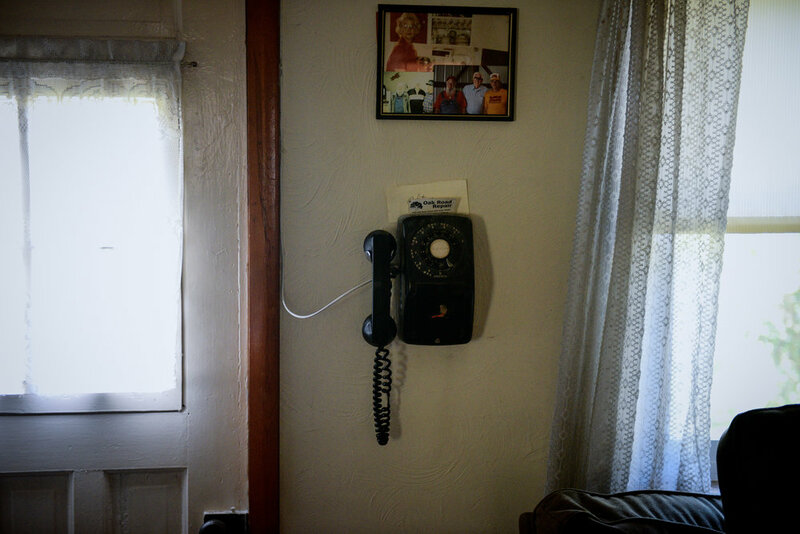 Entering the farmhouse was like walking back in time -- from the wood stove in the kitchen to the rotary dial telephone near the front door. Not much has changed since the house was constructed all those years ago; and while there have been some 'modern' 'improvements' made over the years, I bet if Laura's great-grandmother were to find herself back in the kitchen, she'd have no trouble finding the wooden spoons or the tea kettle. There is value in preserving what you have and deciding that enough is truly enough....that modern, new, or bigger are not the answers for all farm families and finding a way to knit yourself into fabric woven by generations of your ancestors while adding your own signature drop stitch is the best way to move forward. Taking over the farm has given Laura the chance to navigate two worlds: the one that echoes with stories of her ancestors and the one that is calling to her as she begins to explore what awaits her in the barns, outbuildings, and fields of her family farm. There are remnants of Laura's family throughout the house -- from the rocking chair that her grandmother sat in (when she would sit down! 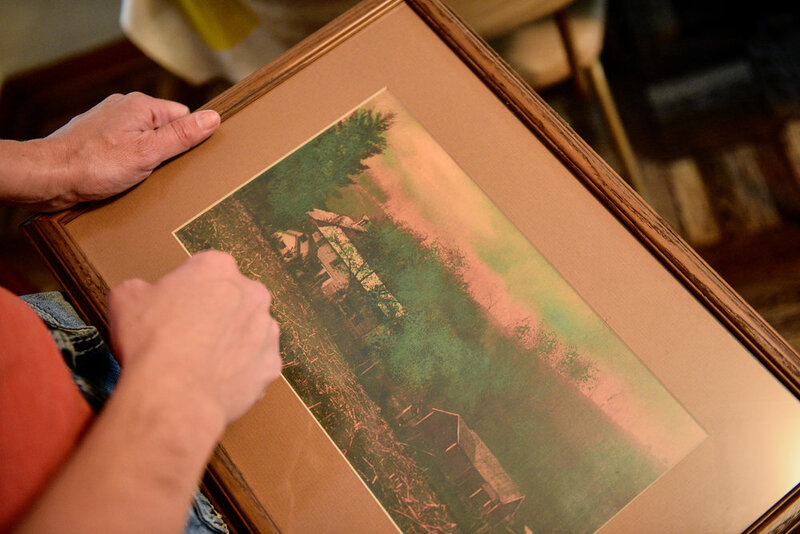 ), to a painting of the farm Laura created when she was in high school, to the photos of family members long since gone but certainly not forgotten. It's a living history; one that is seamlessly woven into nearly crook and crevice of the farm. 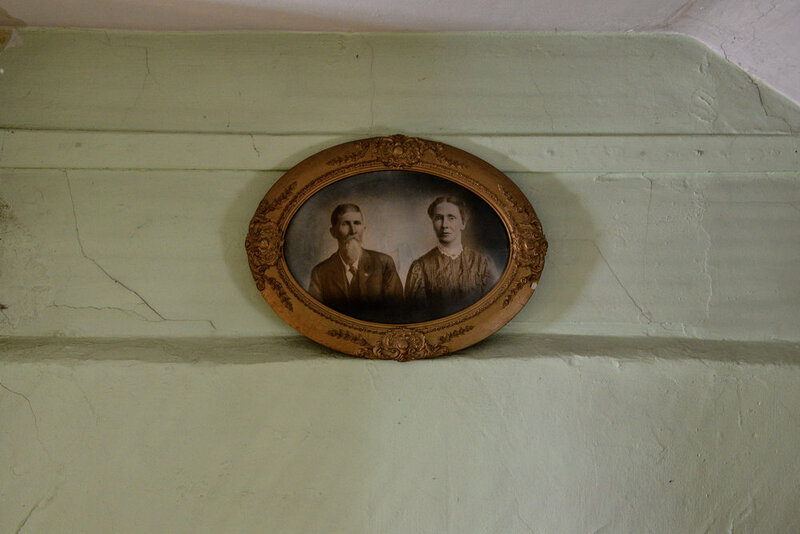 This picture of Mary Emma Gowdy and William R "Billy" Cummins, Laura's great grandmother's parents, caught my eye in a second floor bedroom. When I asked about it, John told me that Cummins fought in the civil war in Company K of the 44th Wisconsin Infrantry Regiment. He returned home from the war and lived on an 80 acre farm in Harrison Township with their fourteen children. 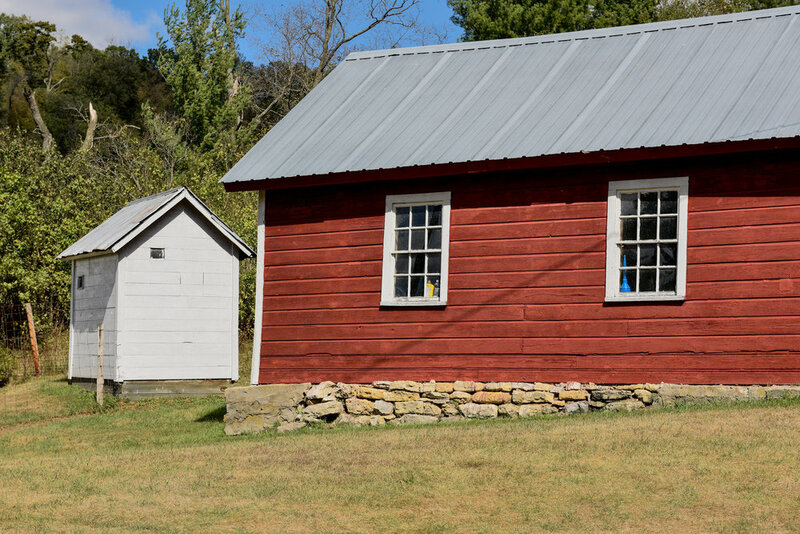 Our rural heritage and landscape are populated with countless stories housed in small towns, milking parlors, barns, and farmhouses. It's time we ask ourselves -- does Big Ag's unrelenting refrain of 'go big or go home' respect and honor our proud farming heritage? 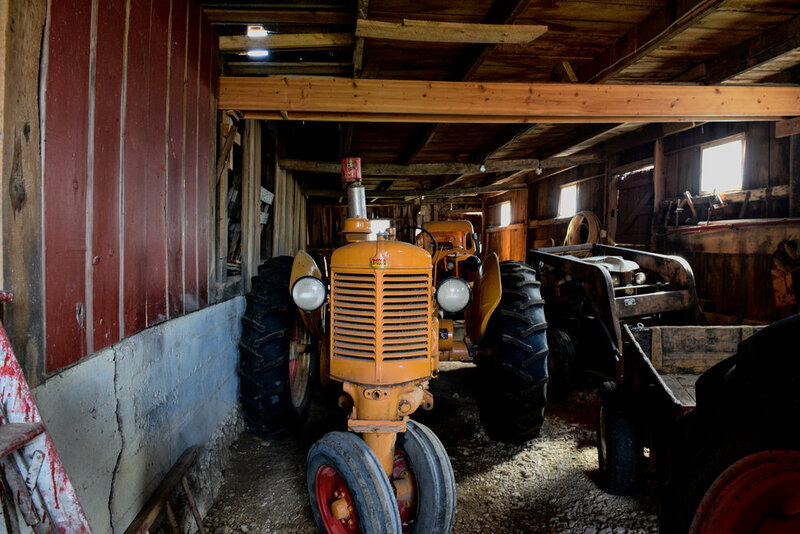 Wisconsin's rural communities are changing -- the consolidation of farms, the introduction of industrial agriculture (both crops and animals) have altered the landscape and it's up to us, the citizens of this state, to help shape the future we want to see. Do we want to see (and smell) massive industrial complexes filled with confined animals or do we want to see a thriving and diverse patchwork of homes, farms, forests, streams, and prairies across rural Wisconsin? The work required to reclaim our farming heritage isn't going to be easy but if we draw upon the values that helped build our farms and our communities -- we'll be just fine. We need to embrace civic engagement, innovative thinking, self-reliance, and an unwavering commitment to be a good neighbor. Beginning farmers like Laura and her family belong to this land and they deserve the chance to make a life -- living and working with it.